FAST LINE SOLUTIONS LIMITED has been delivering results since we opened in 2013. Our goal is to provide both a superior customer experience and tremendous value for our customers. 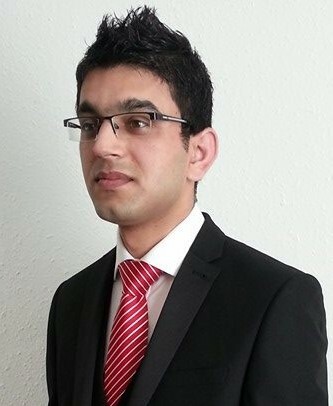 SHAHZAD RAFIQ has over 5 years of experience in different fields and is passionate about exceeding your expectations. We are available 24/7 for your assistance. We have a team of professionals who work for you. We provide professional or expert advice in a particular area. We are regarded as a UK leading consultancy practise dedicated to business growth and business improvement. We specialise in working with motivated businesses UK wide to significantly enhance revenue, profitability and holistic business performance. We offer a full range of Business Consultancy services, Digital Marketing, Branding, Project & Operation Management and Business Strategies. we do outsource some of our services to fully insure our services. As part of our service we bring our knowledge, skills and expertise directly to you at your place of work. Alternatively we would be delighted to welcome you to our office based in Sunderland UK. For meetings we book modern, high quality meeting rooms. Our objectives are to always learn about your business in as much detail as possible, understand your market place, your competition, your plans for growth, your current or anticipated challenges and then we design and develop a strategy that will not only accomplish your goals, but will exceed them and drive significant and sustainable growth. Once the strategy is agreed upon by all parties we implement the strategy by engaging our internal Business Experts and the process of growth and improvement begins.